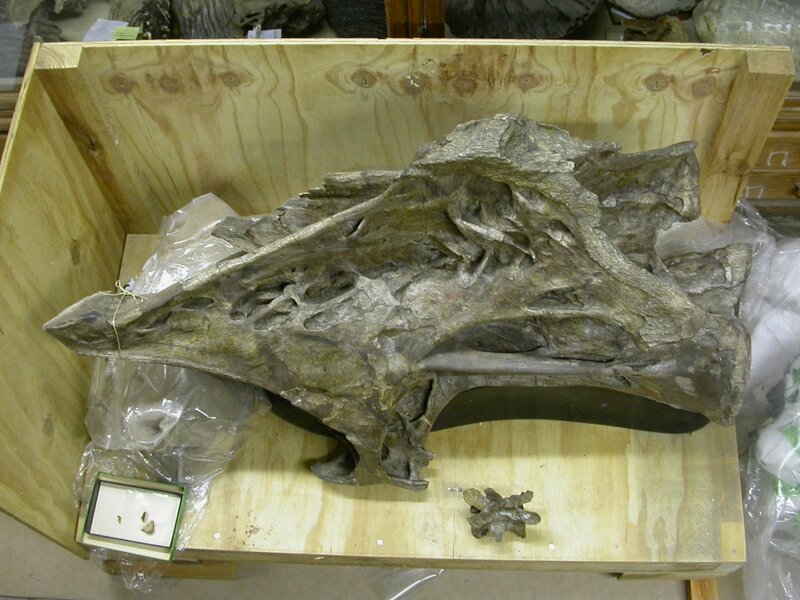 AMNH FARB 291, five consecutive posterior dorsal vertebrae of a probably brachiosaurid sauropod, in right lateral view. 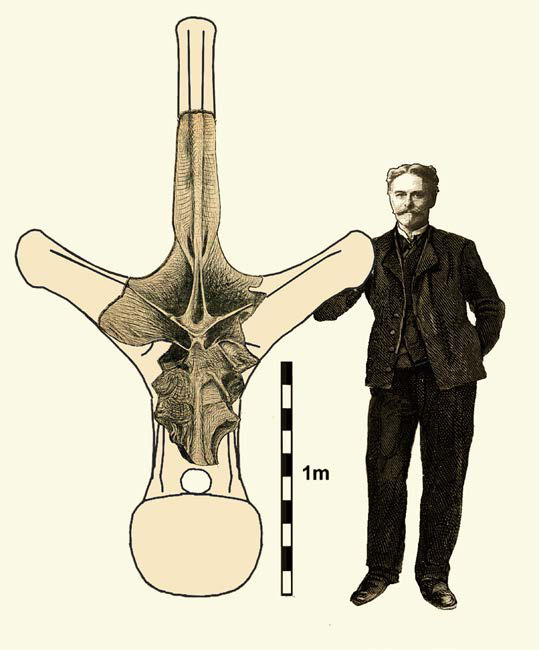 The vertebrae are embedded in a plaster block, which has been desaturated in this image. Matt and I first saw this specimen back in February 2009, when we were mostly there to look at “Apatosarus” minimus (and then again in 2012). As soon as our eyes lit on it, we couldn’t help but be captivated by its bizarre biconcave centra. We immediately started flippantly referring to it as “Biconcavoposeidon” — the ugliest name we could come up with — and in our subsequent discussions the name has stuck (often abbreviated to “BCP”). Taxonomic note: for avoidance of doubt, “Biconcavoposeidon” is not and will never be a formal taxonomic name, only an informal specimen nickname. If at some future point we conclude that this specimen represents a new taxon, and name it, we will definitely not use the name “Biconcavoposeidon”. If you ever use the name, please do not set it in italics. 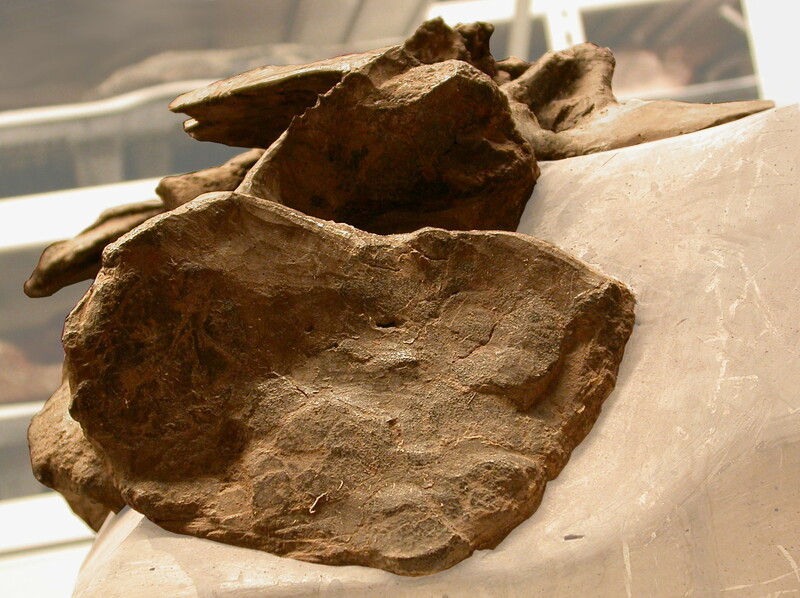 AMNH FARB 291, most anterior of five consecutive posterior dorsal vertebrae of a probably brachiosaurid sauropod, in anterior view. Apart from the shearing, though, and the truncation of the neural spines shortly above the transverse processes, the specimen is in pretty good nick. 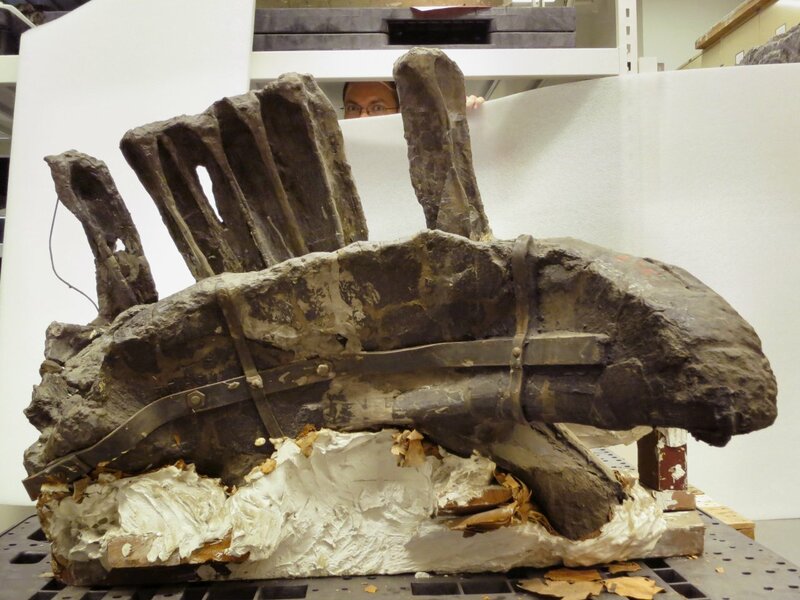 Crucially, it’s not been “restored” in plaster to conceal what is and is not real bone — unlike many specimens of that era. It came out of the Bone Cabin quarry in 1898, back when scientific information was routinely discarded in order to obtain a more beautiful-looking specimen. This is the specimen that I’ll be presenting at SVPCA this year — though only as a poster, unfortunately: there’s no talk for me, Matt or Darren this year. We’ve posted our abstract (including the illustration above) to the nascent PeerJ collection for SVPCA 2017, and we’re looking forward to seeing more of the materials from that conference — abstracts, then manuscripts, then papers — appearing in the collection. 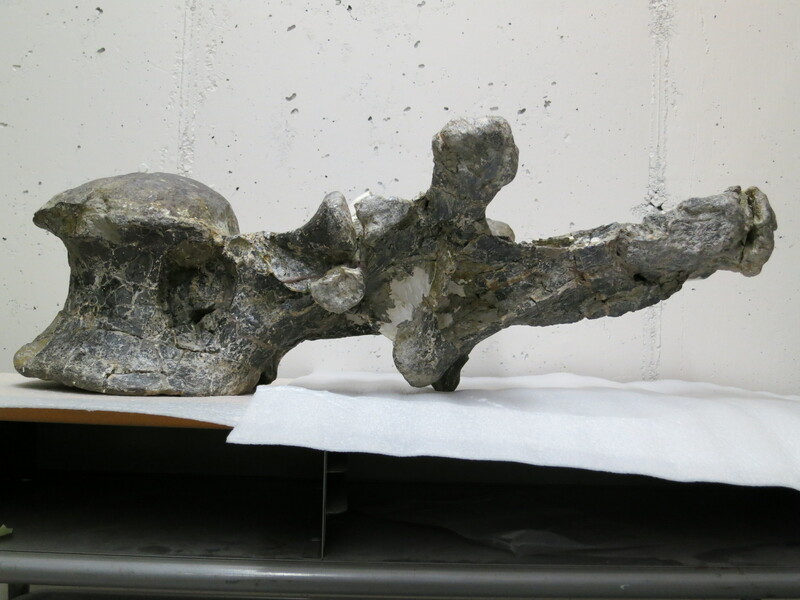 So far as we know, there’s no other sauropod specimen with biconcave posterior dorsal vertebrae. (And, no, Amphicoelias is not an exception, despite its name.) But have we missed any? An SV-POW! 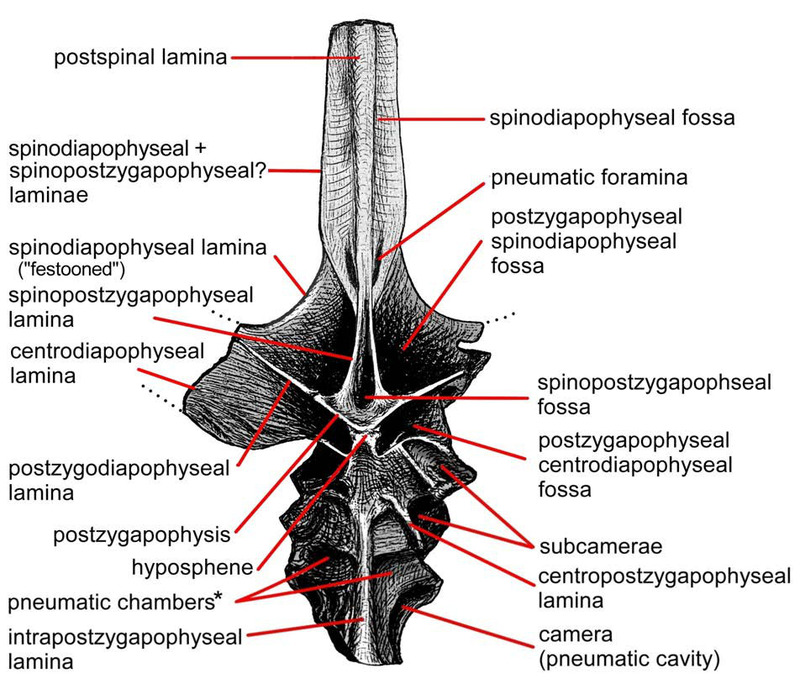 challenge: what is this vertebra? I will explain in a subsequent post where we saw it, who gave us access, where and when it is from, and so on. For now, I want people’s gut reactions: what is it? 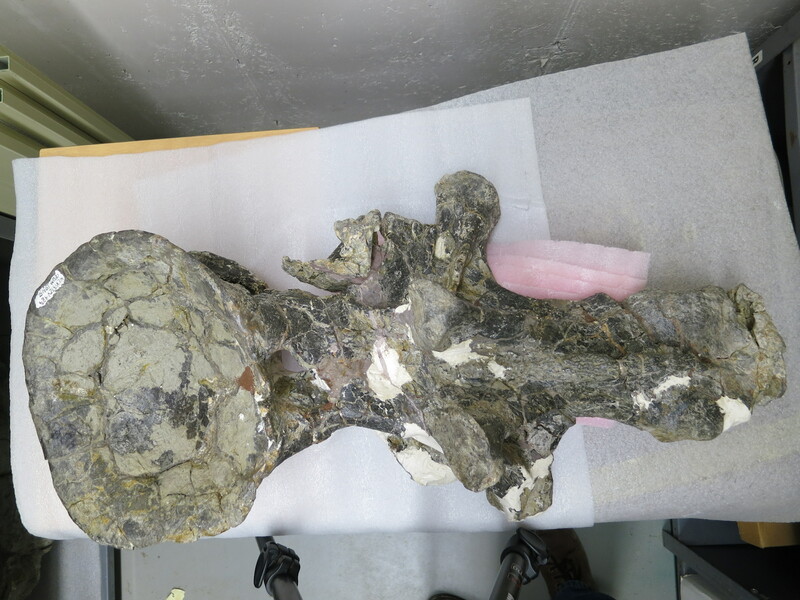 Suppose you’re working on a Wealden sauropod — for example, the disturbingly Camarasaurus-like isolated dorsal vertebra NHM R2523 — and for some reason you desperately want to publish your work in Cretaceous Research. But it’s published by Elsevier, which means that if you’re committed to open access, you have to find an exorbitant $3300 for the APC. Since Elsevier’s profit margin is 37.3%, you know that $1230.90 of your APC is going to be sliced right off the top. I’ve heard it said (but don’t have a reference for this) that barrier-based publishers spend something like 40% of their costs on marketing subscriptions. So there goes another $827.64. And because legacy publishers have to spend a fortune on paywalls, authentication systems, lawyers, spin-doctors, lobbyists and the like, that could well account for, say, half of the remainder. If that’s correct, then only $620.73 of your APC — 19% of what you give them — is actually paying for publishing services such as copy-editing, typesetting, Web hosting and archiving. You could be forgiven for thinking that’s not the best way to spend your $3300. it would of course be much cheaper to publish in PLOS ONE, or PeerJ, or eLife, or F1000 Research, or one of the relevant BMC journals. But let’s suppose that your heart is set on Cretaceous Research. I don’t know how common it is for people to find themselves in this situation, but I’m guessing it crops up more often than somewhat. Often enough, maybe, that the editors wish that the journal they run was published by someone other than Elsevier. So my question is this: who “owns” journals? For example, we know JVP could move away from T&F if they wanted — at least, when its four-year contract expires — but could Cretaceous Research move from Elsevier? Do the editorial board “own” it? Or does Elsevier? If the CR editors hypothetically wanted to keep running their journal but as (say) an open access Ubiquity Press journal with a £250 APC, would they be forced to start The New Journal of Cretaceous Research, leaving the old one to wither with no editors? And just to be clear: this isn’t a question about Cretaceous Research, Elsevier and Ubiquity. They’re just examples. It’s about the broader problem of who controls what journals, and what the people who actually run those journals can do about it. As Steve P rightly pointed out, AMNH 675 was designated as Brontosaurus sp. by Osborn (1904), and made the type of Apatosaurus minimus by Mook (1917). 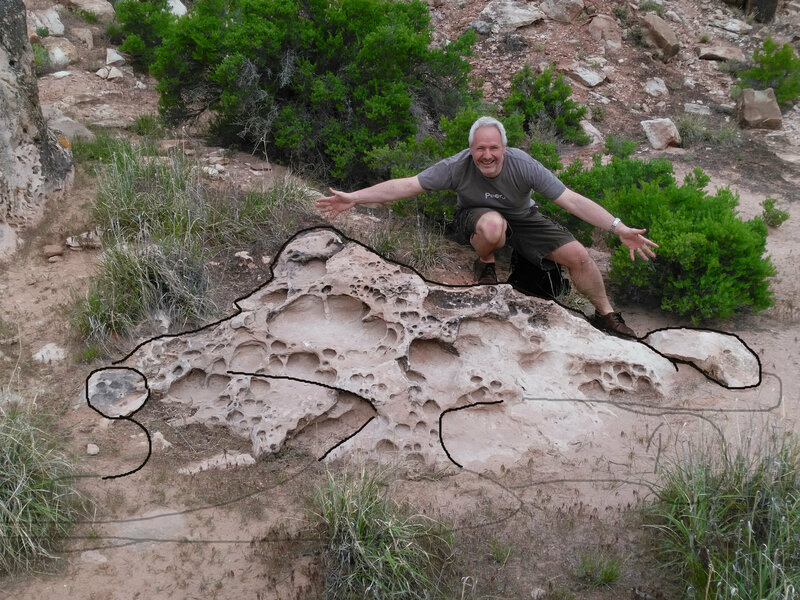 It’s been known for some time that whatever this is, it’s not Apatosaurus — see for example McIntosh (1990a:398), McIntosh (1990b:59) and Upchurch et al. (2004:298). But what actually is it? Well, at the moment, no-one knows. Matt and I now have a manuscript in prep that we hope will somewhat elucidate this question. More to come on this specimen, most likely. McIntosh, John S. 1990a. Sauropoda. In The Dinosauria, pp. 345–401. Berkeley and Los Angeles: University of California Press. McIntosh, John S. 1990b. Species Determination in Sauropod Dinosaurs with Tentative Suggestions for the Their Classification. In Dinosaur Systematics: Approaches and Perspectives, pp. 53–69. Cambridge: Cambridge University Press. Mook, Charles C. 1917. Criteria for the determination of species in the Sauropoda, with description of a new species of Apatosaurus. Bulletin of the American Museum of Natural History 38:355-360. Osborn, Henry F. 1904. 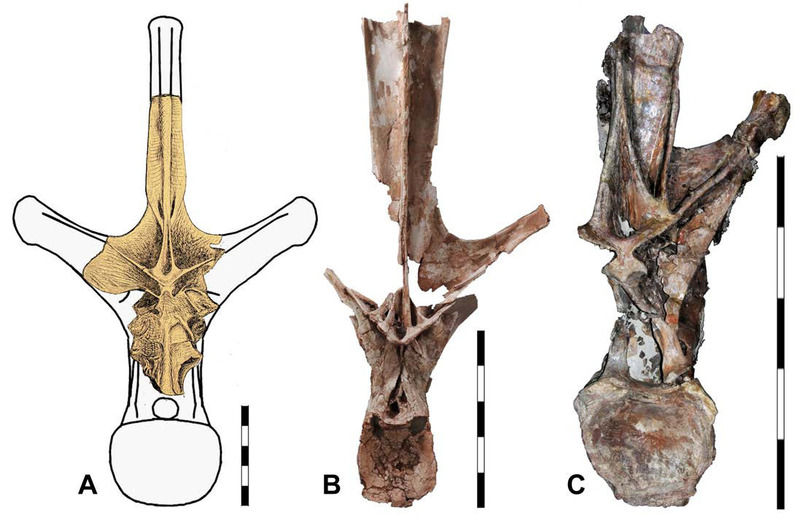 Manus, sacrum, and caudals of Sauropoda. Bulletin of the American Museum of Natural History 20:181-190. Upchurch, Paul, Paul M Barrett, and Peter Dodson. 2004. Sauropoda” In The Dinosauria, 2nd Edition, pp. 259–322. Berkeley and Los Angeles: University of California Press.